Conference Theme: What does it mean to be educated? First I want to thank everyone who attended last night’s Fireside Chat. We had an interesting conversation. I left with important things to think about. I also want to thank Ellen Sigler for inviting my presentation and for all her hard work on the program. I am going to talk to you about something you already know, but have probably never thought about. An example of this is that you already know American life is driven by the buying and selling of goods and services, but you probably never thought about it that way. You know this because you don’t ask why newspapers and magazines are full of advertisements. You know they provide the revenue that makes expensive publications affordable to subscribers. Neither do you ask why the internet has become a huge commercial market place. It used to be a forum for the exchange of text messages among scientists and professors; but now it entices you with multimedia messages at almost every click of the mouse. You don’t ask why because you know why. You also don’t ask why football coaches receive higher salaries than professors. Or, if you ask, you feel silly for asking because you know winning football teams bring in donations, raise a university’s visibility, and contribute to its “brand.” Even America’s institutions of higher education are driven by the buying and selling of goods and services. Similarly, you already know that understanding, imagination, strong character, courage, humility and generosity are the six virtues of the educated person. You know this because, if you are a leader, you want these virtues in your followers. And if you are a follower, you want these virtues in your leaders. You know it because you want these virtues in your companions. Before explaining the significance of this definition, let’s look at how we usually define educated — in terms of college degrees. A person with a doctorate has a lot of understanding about one topic. If that person lacks imagination, strong character, courage, humility and generosity; though, do you want to spend time with that person? In an email exchange with Alfie Kohn, I learned that definitions of educated are neither true nor false, neither right nor wrong. He said what it means to be educated is not an empirical question; but, he added, some definitions are more useful than others. I appreciate this insight, so I pose two questions: Is the six-virtue definition useful? Is the definition that drives today’s public schools useful? In a different way, however, this definition is not useful. It misses the mark when it comes to why college students decide to become teachers. For example, never once has one of my undergraduate students said, “I want to become a teacher to raise students’ test scores”– never once, in twenty years. Because of this experience, I have added a second premise to Kohn’s “usefulness” one — some definitions are more inspiring than others. If both premises gauge definitions of “educated,” we see that achieving higher test scores is useful, but not inspiring. My students never said they wanted to become teachers to improve test scores because that definition does not inspire college students to become teachers. The significance of any virtue list is in the answer to: “Why these virtues and not others?” If I cannot answer that question, the six-virtue definition is just another arbitrary list of virtues. Let’s take a look. First, this is a useful definition because the six virtues combine to form all other virtues. They are like the ingredients of a cake. You can have milk, salt, eggs, and flour without having a cake, but you cannot have a cake without milk, salt, eggs, and flour. Similarly, for example, you can have understanding, imagination, strong character, courage, humility and generosity without respect; but you cannot have virtuous respect without these virtues. Another example is perseverance. You can have understanding, imagination, and strong character without perseverance, but you cannot have virtuous perseverance without understanding, imagination, and strong character. A third example is patience. You can have understanding, imagination, strong character, humility and generosity without patience, but you cannot have virtuous patience without understanding, imagination, strong character, humility and generosity. I keep searching for a virtue that is not a combination of these six, but I can’t find one. By developing these six, we develop the ingredients for all virtues; and failing to develop these six prevents us from developing others. This is important because developing six virtues is simple, but developing hundreds is complicated. Developing virtue is already difficult, we shouldn’t make it complicated, too. The six-virtue definition is useful for a second reason. It tells us how to improve every learning situation. In situations fraught with ignorance, teachers should model and teach understanding. In situations fraught with intellectual incompetence, teachers should model and teach imagination. In situations fraught with weak character, teachers should model and teach strength. In situations fraught with fear of truth, teachers should model and teach courage. In situations fraught with pride, teachers should model and teach humility. And in situations fraught with selfishness, teachers should model and teach generosity. If teachers operated with this definition (the best teachers already do), we would not be engaged in fruitless debates over educational methods. The answers for how to teach would always be right in front of us–model and teach the virtues that are absent from the learning situation. What is more useful than that? Finally, the six-virtue definition is inspiring. People often say something is “just human nature” in order to make the point that humans are flawed and imperfect. While that may be true, the six virtue definition suggests a different, more inspirational truth. Although our uneducated nature may be vicious, we have the potential to develop a virtuous, educated nature. We are born ignorant, intellectually incompetent, weak, fearful of truth, proud and selfish; but we can become understanding, imaginative, strong, courageous, humble and generous. Nothing is more inspiring than being with educated people. Isn’t that why we became educators? Although you have never thought of “educated” this way; you know the six virtues of the educated person are understanding, imagination, strength, courage, humility and generosity. And this definition is useful and inspiring for the reasons just mentioned. So, why isn’t this definition the basis for improving K-16 schools? (1) A five-element model captures the operation of American public education. The desirability of democratic governance is the core belief that drives everything (Element #1). Therefore, we govern democratically (Element #2). Democratically elected officials identify the purposes of public education (Element #3). They create a bureaucratic structure to hold teachers and principals accountable for the use of public funds (Element #4). And they direct teachers to improve schools through the social science improvement paradigm (Element #5). We come into the world ignorant, intellectually incompetent, weak, fearful of truth, proud and selfish. Our educated nature develops as we overcome these vices and develop the six virtues. (3) The 12 virtues and vices can be separated for discussion, but they are integrated and interrelated in all behavior and situations. (4) Public schools model and teach three virtues (understanding, strong character, and generosity); and they model and teach three vices (intellectual incompetence, fear of truth and pride). (5) Our uneducated nature is ugly; our educated nature is beautiful. (6) Democratic governance is ugly because it models and promotes the vices of our uneducated nature. 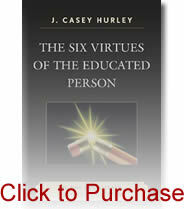 (7) Virtue-based education purposes are more useful than knowledge and skill purposes. In conclusion, earlier I said, “Everything depends on the definition of ‘educated.’” That is why our conference theme is so important. 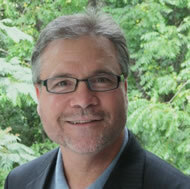 The politics of education has focused public schools on improving standardized test scores. When test scores improve, which has happened in many places, what does that mean? Does it mean young people are becoming better educated, or better “schooled?” It all depends on your definition of educated.